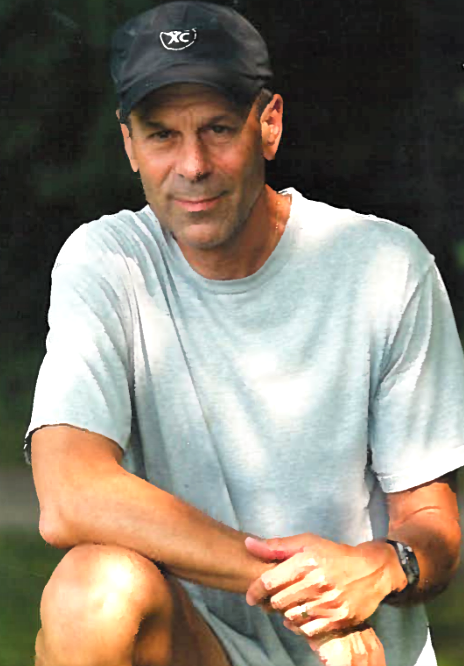 (4-19) Ben Beach has run and finished 51 Boston Marathons in a row, and he'll be on the line again Monday morning in Hopkinton. Beach's streak is the longest in Boston Marathon history, and probably in world marathoning. The 69-year-old from Bethesda MD broke 2:30 four times in younger, faster days but now battles a rare neurological disorder that puts a "hitch" in his stride. It's not enough to stop Beach, however. Career-profession? I’ve been a writer and editor for most of my career, whether with publications, environmental groups, or the federal government. When did you start running and why? I enjoyed baseball, football, and basketball, but by age 16 it became clear that I lacked the size and strength to be successful in any of them. I started dabbling in running and discovered that I had an appropriate body for it. I was never on a HS or college team; I just ran on my own. How much did you run in your peak years? Probably just over 100 miles/week, but I hit that only during a brief period while training for a marathon. In my peak years, I ran about 3,000 during the year. Top race performances and/or proudest achievements? 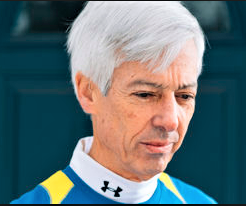 I've run every Boston Marathon since 1968. My best marathon was in New York: 2:26:29 in 1981. 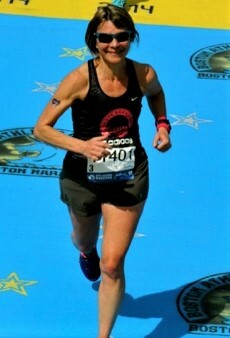 In Boston I was under 2:30 four times and under 2:40 17 times. I ran the Cherry Blossom Ten-Miler in 53:15 in 1978. An estimate of your total lifetime miles? This is a wild guess because I have almost no info from age 16 to 25. (But I wasn’t racking up too many miles during the first half of that span.) Since 1974, I’ve run about 75,000 miles. How much are you running and cross-training now? Strength work? Stretching? My dystonia [see below] has ruined my gait, so I run only three days in an average week and probably total only 15 miles. In March (2019) I hit 102 miles, my first month over 100 in 13 years. Pathetic! I do at least two workouts most days, with a mix of running, biking, swimming (summer only), weight-lifting, rowing (on a machine), and use of an elliptical trainer and exercycle. I love the variety. I stretch a lot but remain tight. Any recent race results? Embarrassing! I ran the Credit Union Cherry Blossom Ten-Mile in 1:44:45 on April 7, 2019. I believe that’s my only race the past six months. Does it bother you that you are slower now and how do you stay motivated? Yes, it’s very frustrating that it takes me twice as long to run a marathon and that when I put in an hour on the roads, I have covered only five or six miles. I tell myself that at least my body is still capable of running. 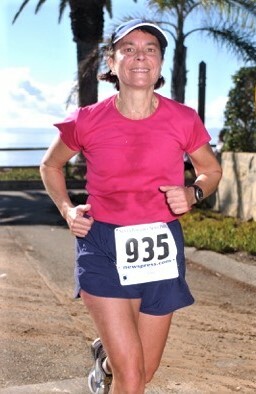 As my times deteriorate, I can still set goals and compete in my age group. I try to compare myself to other 70-year-olds rather than to Ben Beach at age 35. Diet, weight, supplements? I weighed about 125 pounds when I graduated from college and am still 125, though I’ve probably grown a couple of inches. I have been taking glucosamine for a number of years in hopes it’s good for my joints. I tend to doubt that it is, but I haven’t heard that there’s any downside to the stuff, and I’m willing to pay for it (usually stocking up when it’s on sale). I’m not a big fan of supplements; I believe that if I eat a reasonably balanced diet, I’ll get what I need. Injuries and health issues? Like most long-time distance runners, I’ve had all kinds of injuries—to hamstrings, calves, groins, knees, hip flexors, etc. In the early days, I was inclined to run through them, but before long I discovered that was dopey. Last year I had two hernia operations. Fortunately, the hernias came along after the marathon. I don’t think they were running-related. What 3 short tips would you offer to younger runners who want to run for a lifetime? How does running & fitness improve your life on a daily/weekly basis? I can’t imagine life without exercise. I certainly concur with all those studies showing the many benefits of exercise. One thing I particularly appreciate is the freedom to eat more. What are the biggest lessons (life lessons and running lessons) you have learned from running? Steadiness pays, and you get out what you put in. Pardon the platitudes! I want to stay healthy as long as I can. 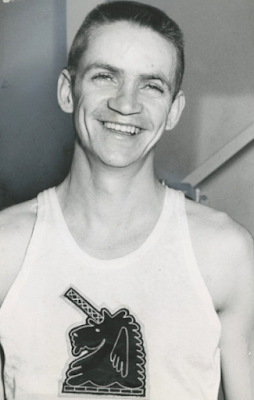 PROFILE--Jimmy Green ran the 1956 Boston Marathon. What were you doing then? (4-19) James (Jimmy) Green ran his first miles in 1949, and his first Boston Marathon in 1956. There's probably no active marathoner anywhere who ran Boston earlier than Green's first. Four years later, he placed third at Boston in 2:23:37. He thought he had completed his last Boston in 1997, but the necessity of making a positive, life-enhancing statement in 2014 carried him back to Hopkinton once again. Now 86 and living in Marblehead MA, Green finished Boston in 2014, 2015, and 2017. And, given his steady 25 miles per week, he thought about it again this year. But life got in the way. Your career/profession? Teacher, tech writer, Russian intercept operator during ’56 Hungarian uprising (exciting). I was an English major in college, and taught for many years at Saugus High School in Massachusetts. In 1972, I got a PhD in foreign affairs from American University, with a minor concentration in Russian language and studies. When did you start running and why? A close friend, captain of the cross-country team, introduced me to the game. That was in 1949 at Quincy High School in Massachusetts. How much did you run in your peak years? I never exceeded 3,000 miles in a single year. During my best year of training and racing before running 2:23 at Boston, I averaged 78 miles a week during the winter buildup, taking off Mondays. The other six days, I ran a 13-mile course each day, alternating hard days and easy days. I did less training the rest of the year after Boston and none in December. Top race performances or proudest running achievements? 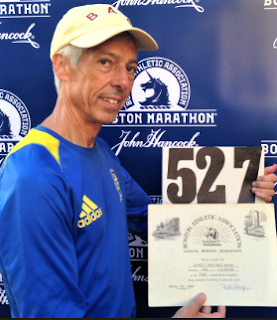 I ran my first Boston Marathon in 1956, finishing 23rd in 2:37:56. In 1960, I was third at Boston in 2:23:57, my personal best. 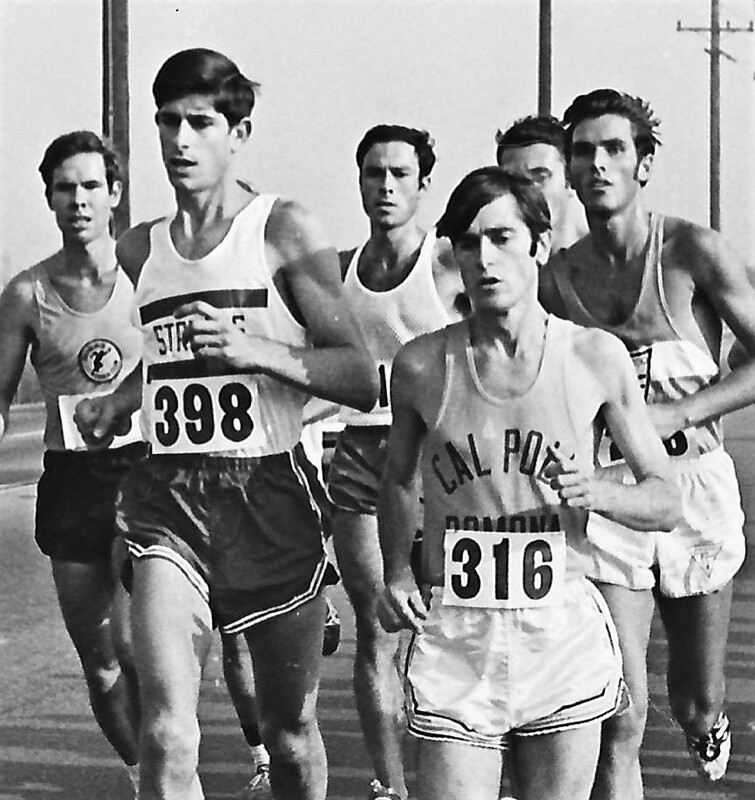 I was the first alternate on the 1960 and 1964 Olympic marathon teams. In 1960, I finished 2nd in the Milk Run in NYC 4 days before the Olympic Team left for Rome. Johnny Kelley beat me by 1:45 but I beat the other two Olympians--Alex Breckenridge and Gordon Mackenzie by over three minutes. In 1959 I placed 2nd in the PanAm marathon (behind Kelley), followed 26 days later with a 4th in the First International Marathon in Seoul, Korea. Training? I had no clear- cut plan. My program evolved. In 1959 and 1960, I ran mostly 13-mile workouts (at 5:50 pace one day, 6:50 the next) with Mondays off. I describe this training as internecine, because the JG (me) of one week tried to surpass or equal the times set by the JG of the previous week, month, or year on the same course, same distance. In February, 1960, I ran a 32-miler with Kelley in Mystic, CT, near his home. We wore training clothes, and completed the course in 3:15 (about 6:10 pace). I finished about a minute behind him, but he said our was a record for the course. I usually did a 20 to 23-mile run every third week, and also did days of 20 x 440 with a 440 jog. During cold winter weather, I often ran with 3 or 4 tops and 2 layers of sweat pants. I ran alone 95% of the time because I was the only runner in town. I believe that running to the limit alone against the clock, 3 times a week, 13 miles on average, wearing layers of clothing in winter, heavier training shoes, in every kind of weather produced a strong foundation for consistent results. Estimate of your total lifetime miles? 110,000? How much cross training did you do? I did occasional sets of 35 pushups but irregularly. When injured in ‘61, I did 15 sets of 35 pushups and followed each of those with sets of 10 pullups, wrists out. The total workout time was about 70 minutes for 725 pushups and 150 pullups. Most of them, I think, legitimate. I did no stretching and thus had numerous hamstring pulls often during the weeks preceding the BAA Marathon. In the first story from my book "Tales of Boston Harbor," I describe my clam digging days in high school. There are few experiences that can equal the physical, psychological, and almost spiritual demands of the work. It was a marvelous preparation for competition. No foe is more relentless than an incoming tide, none more unforgiving. Current training? I'm getting in about 25 miles a week. Until a month ago I thought of running Boston again this year. But then I needed cataract surgery, and a few other things came up. Recent race results? I ran 71:30 in a Gloucester, MA, 10K on 9/30/18. Diet and weight changes? Little change except I take on average 2 Ibuprofen daily before training and one at bedtime. With a wife, who is an excellent cook, I have always eaten well. What injuries or other health issues have you faced through the years? Hamstring pulls before 5 different Boston Marathons between 1959 and 1968. And a heart attack after the 2017 Boston. I finished in a little over 6 hours and went to a nearby cafe for a coffee with my wife. The next thing I remember is that I was stretched out on the floor. They took me across the street to the marathon medical tent. I was then sent to Mass General, where an excellent cardiac surgeon was working. He put in a stent, and I was out of the hospital in a couple of days. effort, never to be distracted! Philosophy of running and life? A friend and former Canadian great, Gordon Dickson, now deceased, used to run with a group that would spontaneously make fun of their efforts. During workouts, they might recite: "Over hill, over dale... Keep a goin'." Or: "Through the mountain pass... Keep a goin." The last phrase became their refrain, used with endless improvisations. It reflected their dark musings about runners endlessly in training like Sisyphus forever pushing the rock uphill. Our labors are absurd, yes. Gordy had it right. Yet we must try, we fight on. Ben Tucker was the first African American to run the equivalent of a sub-4-minute mile. 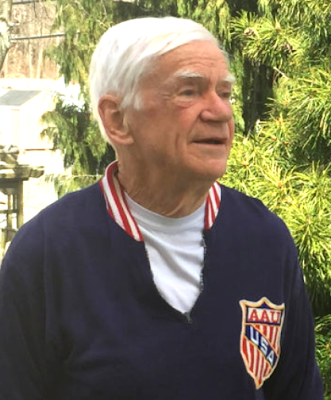 He clocked a 3:40.8 for 1500 meters during the AAU National Championships on June 28, 1964 in New Brunswick, NJ, finishing seventh. (That time is equivalent to a 3:58.4 in the mile.) The first four that day were some of America's best: Tom O’Hara, Dyrol Burleson, Jim Grelle, and Jim Ryun. All broke the American 1500 meter record that day. In college, Tucker competed for San Jose State and was a member of the 1962 and 1963 NCAA Cross-Country Championship teams. He set school records in the 800 and 1500 meters. His 800 record stood for 15 years, while the 1500 meter school record was tops for 11 years. Now 75, he lives in Berkeley, CA. (3-19) Phil Camp goes back a few years and sticks out of the crowd. He's taller than most lifelong runners we know. Also faster, with a marathon best of 2:13. Truth is, he's even more impressive on a big Navy ship deck, where he has run a 4:39 mile on a sharp-turning eight-lap "track." Your career profession? 22 year career as a Naval Officer and Aviator ('70-'92); Air Ambulance Pilot (7 yrs) Business/private jet pilot for Netjets (16 yrs). When did you start running and why? Started running in my junior year of High School, Sept '63 because I could outrun the rest of the PE class in the weekly endurance run! Peak running? Usually 70-80 miles/week and then 100 mile/week during a month leading up to a marathon.